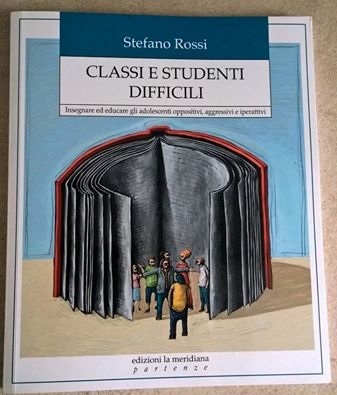 Come sempre un testo per comprendere ma soprattutto per intervenire in classe. 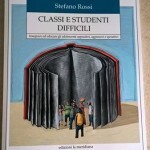 – La seconda parte: “INSEGNARE NELLE CLASSI DIFFICILI” approfondisce 4 vie per condurre con efficacia le classi del nuovo millennio. Sempre con un taglio operativo vedremo: apprendimento cooperativo – classi aperte – compiti autentici – apprendimento capovolto. Buona lettura , ma soprattutto buona sperimentazione. Questo articolo è stato pubblicato in letture il 2 ottobre 2016 da redazione. whoah this blog is wonderful i love reading your posts. Stay up the great paintings! You understand, many persons are searching around for this information, you can aid them greatly. I have been browsing on-line more than 3 hours nowadays, but I by no means found any attention-grabbing article like yours. It is beautiful value enough for me. Personally, if all webmasters and bloggers made good content material as you probably did, the internet will likely be much more useful than ever before. Ahaa, its fastidious discussion about this paragraph here at this blog, I have read all that, so at this time me also commenting at this place. If some one wishes expert view on the topic of blogging and site-building after that i recommend him/her to visit this web site, Keep up the fastidious work. One more thing that I want to share at this time is that, doesn’t matter what you are using free blogging service but if you don’t update your webpage on daily basis then it’s no more attraction. Ahaa, its fastidious conversation regarding this post here at this web site, I have read all that, so now me also commenting at this place. If you are going away to watch comical videos on the web then I suggest you to visit this site, it carries genuinely thus humorous not only movies but also extra material. YouTube contains not simply comical and humorous video lessons but also it carries learning related video tutorials. Hurrah, what a quality it is! For the reason that mostly YouTube video lessons have no nice feature, but this is truly a fastidious quality video. Actually when someone doesn’t understand afterward its up to other visitors that they will help, so here it occurs. I am genuinely thankful to the holder of this site who has shared this fantastic paragraph at here. Hi, I also want to share my view here, when i don’t know even about a easy thing related to PHP, I always go to look for that from internet. Can any one let know me that is there any on the net course for SEO, as I wish for to learn more concerning Web optimization. If some one needs expert view about blogging after that i advise him/her to pay a quick visit this website, Keep up the good work. Because the YouTube video lessons are posted here same like I also embed YouTube video code at my own website, as it is effortless to get embedded code. In fact programming is nothing but it’s a logic, if you obtain control on it afterward you are the professional else not anything. Thanks a lot for sharing this with all of us you really realize what you are talking approximately! Bookmarked. Please additionally seek advice from my web site =). We can have a link change arrangement among us! Great goods from you, man. I’ve understand your stuff previous to and you are just extremely excellent. I actually like what you have acquired here, certainly like what you’re saying and the way in which you say it. You make it entertaining and you still care for to keep it wise. I cant wait to read far more from you. This is actually a great site. Its extremely good YouTube video in terms of features, really nice, its quality is truly appreciable. I wanted to write you the tiny observation to thank you very much the moment again for these superb guidelines you’ve documented at this time. This has been certainly surprisingly open-handed of people like you to deliver unhampered just what a lot of folks could possibly have advertised as an ebook to get some profit on their own, most notably seeing that you could have done it if you wanted. Those smart ideas additionally acted to become a fantastic way to comprehend most people have the same eagerness much like my own to find out a good deal more on the subject of this condition. I think there are millions of more enjoyable times ahead for people who read your site. I would like to thnkx for the efforts you’ve put in writing this blog. I’m hoping the same high-grade blog post from you in the upcoming as well. In fact your creative writing abilities has encouraged me to get my own web site now. Really the blogging is spreading its wings fast. Your write up is a great example of it. whoah this weblog is excellent i love reading your posts. Stay up the good work! You already know, lots of individuals are searching round for this information, you can aid them greatly. Great awesome things here. I¡¦m very glad to look your article. Thanks so much and i’m having a look ahead to contact you. Will you kindly drop me a e-mail? I have read so many posts on the topic of the blogger lovers however this article is in fact a good piece of writing, keep it up. Excellent website. Plenty of useful information here. I am sending it to a few pals ans additionally sharing in delicious. And of course, thanks on your sweat! Normally I do not read post on blogs, however I wish to say that this write-up very forced me to try and do so! Your writing taste has been amazed me. Thanks, quite great article. Hi my loved one! I wish to say that this post is amazing, great written and come with approximately all important infos. I¡¦d like to see more posts like this . I¡¦ll immediately grasp your rss feed as I can’t find your email subscription hyperlink or e-newsletter service. Do you’ve any? Please let me recognize so that I may just subscribe. Thanks. You made some decent points there. I seemed on the web for the difficulty and found most individuals will associate with together with your website. Hmmm, yup no hesitation Google is best in support of blogging but currently word press is also nice as a blogging since its Web optimization is fastidious defined already. These are really wonderful ideas in regarding blogging. You have touched some good factors here. Any way keep up wrinting. What’s up, can any body help me how to down load this video tutorial from this web page, I have watched and listen it now but would like to download it. I am glad to watch this you tube video at this site, therefore right now I am also going to add all my video tutorials at YouTube site. I’m gone to say to my little brother, that he should also go to see this web site on regular basis to obtain updated from newest information. Why YouTube movies are shared everywhere? I think one motive is that these are straightforward to take embed code and paste that script everyplace you would like. Hi there, its pleasant paragraph concerning media print, we all know media is a great source of facts. Yes you are correct, genuinely PHP is a open source and its assist we can get free from any discussion board or web page as it happens here at this web page. What’s up, this weekend is nice for me, as this moment i am reading this enormous informative paragraph here at my residence. It’s my first go to see to this web page, and I am truly amazed to see such a fastidious feature YouTube video posted at this place. Remarkable! Its actually amazing post, I have got much clear idea concerning from this paragraph. Hi Dear, are you actually visiting this web page regularly, if so afterward you will definitely obtain fastidious experience. Hi dear, are you enjoying with this humorous YouTube video? Hmmm, that’s pleasant, I am also watching this YouTube funny video at the moment. All right you are right, genuinely Personal home page is a open source and its assist we can get free from any forum or website since it happens here at this site. Sure high resolution film quality carries much memory, that’s why it presents enhanced feature. Hi there, I also desire to share my opinion at this place, when i don’t know even about a straightforward thing related to PHP, I always go to explore that from net. I like to work on Personal home pages rather than .NET, although .NET provides the ability of drag and drop elements, except I love Personal home pages much. Please upload other video clips related to cooking if you have, because I wish for to learn more and more regarding all recipes of cooking. Hi, constantly i used to check web site posts here in the early hours in the daylight, for the reason that i love to gain knowledge of more and more. For the reason that the YouTube videos are posted at this place same like I also embed YouTube video code at my own website, because it is straightforward to obtain embedded code. For latest information you have to pay a visit internet and on internet I found this website as a finest website for most up-to-date updates. Hi it’s me Fiona, I am also visiting this site on a regular basis, this website is genuinely fastidious and the users are genuinely sharing nice thoughts. Hello i am kavin, its my first time to commenting anyplace, when i read this piece of writing i thought i could also make comment due to this sensible piece of writing. It is the happiest time of my life so far, when I am watching these} funny video clips at this place, because after complete day working I was so tired and now feeling well. YouTube is world’s biggest video sharing web site, no one can defeat it. Every one add video tutorials at YouTube after that obtain embed code and post anyplace. If some one needs to be updated with most up-to-date technologies therefore he must be go to see this web page and be up to date everyday. If some one desires to be updated with most up-to-date technologies after that he must be pay a quick visit this website and be up to date all the time. Hi to every body, it’s my first pay a visit of this blog; this webpage consists of amazing and actually excellent data in support of readers. Sketches are genuinely good source of instruction instead of passage, its my know-how, what would you say? I wanted to compose you one very little remark to be able to say thanks again on your wonderful strategies you have shown in this case. This has been certainly strangely generous with people like you to deliver unhampered exactly what a few individuals could have offered for an electronic book in order to make some bucks for their own end, certainly considering that you might have tried it if you considered necessary. Those guidelines likewise served as a easy way to fully grasp that some people have a similar fervor much like my very own to see a good deal more on the subject of this condition. I think there are lots of more fun sessions ahead for individuals who read your website. I precisely desired to say thanks again. I do not know what I would’ve accomplished without the actual solutions documented by you concerning such topic. Certainly was a very troublesome scenario for me personally, nevertheless considering this skilled tactic you treated the issue made me to jump over delight. I’m just thankful for this support and even pray you really know what an amazing job you happen to be accomplishing educating men and women with the aid of your websites. Most likely you haven’t come across any of us. I have been reading out many of your posts and i can claim clever stuff. I will make sure to bookmark your website. My wife and i ended up being absolutely thrilled Ervin could do his analysis from your ideas he received when using the site. It is now and again perplexing just to happen to be freely giving points which often a number of people may have been trying to sell. We really keep in mind we need the writer to appreciate for that. The entire explanations you have made, the easy website menu, the friendships your site make it easier to instill – it’s everything spectacular, and it’s really assisting our son in addition to our family believe that the situation is brilliant, which is certainly highly serious. Thank you for the whole thing! Hello, yeah this post is genuinely good and I have learned lot of things from it regarding blogging. thanks. I am also writing to make you understand of the superb experience my cousin’s child gained browsing the blog. She figured out a wide variety of things, which include what it’s like to have a very effective coaching nature to have many more just gain knowledge of some complicated matters. You undoubtedly did more than her desires. Thank you for producing such precious, healthy, educational and cool tips about that topic to Evelyn. I precisely needed to say thanks again. I am not sure the things that I would’ve tried without these thoughts revealed by you relating to this field. It was actually an absolute intimidating dilemma in my opinion, however , noticing a new skilled fashion you solved that took me to cry with contentment. Now i am thankful for your information and in addition sincerely hope you find out what an amazing job your are providing instructing most people through the use of your site. Most likely you’ve never met any of us. I have to express my passion for your kind-heartedness supporting those individuals that actually need assistance with in this subject matter. Your special dedication to getting the solution across appears to be incredibly beneficial and has regularly enabled individuals much like me to attain their desired goals. Your amazing invaluable guidelines means a whole lot a person like me and especially to my fellow workers. With thanks; from everyone of us. What i do not realize is in truth how you are now not really a lot more neatly-favored than you may be now. You’re so intelligent. You already know thus considerably on the subject of this subject, made me personally imagine it from a lot of various angles. Its like women and men don’t seem to be fascinated unless it¡¦s one thing to accomplish with Lady gaga! Your personal stuffs excellent. Always handle it up! You completed some nice points there. I did a search on the topic and found the majority of people will agree with your blog. Thank you a lot for giving everyone such a memorable possiblity to check tips from this site. It’s usually so enjoyable and stuffed with fun for me and my office co-workers to search your site more than thrice in a week to learn the newest tips you have got. And definitely, we are usually amazed with all the unique ideas served by you. Selected 3 facts on this page are clearly the very best we have had. I want to point out my passion for your kindness for those people who must have assistance with this important content. Your personal dedication to passing the message up and down ended up being extraordinarily important and has really helped men and women like me to realize their targets. Your amazing important recommendations means a whole lot a person like me and substantially more to my mates. Many thanks; from each one of us. I as well as my pals have already been going through the best procedures located on the blog while before long came up with a terrible feeling I never expressed respect to the web site owner for those techniques. The ladies were definitely certainly glad to read all of them and already have seriously been making the most of those things. We appreciate you turning out to be very considerate and also for making a choice on certain important themes millions of individuals are really eager to know about. My sincere regret for not saying thanks to you sooner. you may have a terrific weblog here! would you prefer to make some invite posts on my blog? Hi, Neat post. There is a problem together with your website in web explorer, would test this¡K IE still is the market leader and a huge element of other folks will omit your great writing due to this problem. hello!,I like your writing very much! share we keep up a correspondence more approximately your article on AOL? I need an expert on this house to solve my problem. Maybe that’s you! Taking a look ahead to look you. Very efficiently written article. It will be beneficial to anybody who utilizes it, as well as yours truly :). Keep doing what you are doing – can’r wait to read more posts. Thank you for all your valuable work on this web site. My daughter enjoys making time for investigation and it’s easy to understand why. We all learn all of the compelling method you convey priceless tricks by means of this web site and therefore invigorate response from visitors on this subject matter then our favorite simple princess is certainly studying so much. Take advantage of the rest of the year. You’re carrying out a fantastic job. Thanks for sharing excellent informations. Your web site is very cool. I’m impressed by the details that you¡¦ve on this web site. It reveals how nicely you perceive this subject. Bookmarked this web page, will come back for extra articles. You, my pal, ROCK! I found simply the information I already searched all over the place and simply couldn’t come across. What a great site. Thank you, I have just been looking for info about this topic for a while and yours is the greatest I have found out till now. But, what in regards to the conclusion? Are you certain concerning the supply? I and also my friends have already been looking through the great solutions found on your site and so the sudden I got an awful feeling I had not thanked the site owner for those tips. The ladies happened to be very interested to learn them and have simply been taking advantage of those things. Thank you for simply being quite considerate and for pick out some decent useful guides most people are really wanting to know about. My sincere regret for not saying thanks to you sooner. It’s appropriate time to make some plans for the future and it’s time to be happy. I’ve read this post and if I could I wish to suggest you some interesting things or advice. Maybe you can write next articles referring to this article. I want to read even more things about it! I would like to thnkx for the efforts you have put in writing this web site. I’m hoping the same high-grade blog post from you in the upcoming as well. In fact your creative writing abilities has encouraged me to get my own web site now. Really the blogging is spreading its wings quickly. Your write up is a great example of it. Hello.This post was really fascinating, particularly because I was looking for thoughts on this matter last Tuesday. I’m still learning from you, as I’m making my way to the top as well. I definitely liked reading everything that is written on your site.Keep the posts coming. I loved it! I¡¦m not certain the place you’re getting your information, however great topic. I needs to spend a while studying more or understanding more. Thanks for wonderful information I used to be looking for this information for my mission. Hi there, I discovered your site by way of Google at the same time as looking for a similar subject, your site got here up, it seems good. I’ve bookmarked it in my google bookmarks. I simply wished to thank you so much yet again. I am not sure what I would’ve undertaken without these creative concepts revealed by you concerning that topic. It truly was the distressing crisis for me, nevertheless understanding a new specialised avenue you dealt with it made me to leap with contentment. I will be happier for this advice and even trust you realize what a powerful job you are putting in instructing people all through your webpage. I am certain you have never got to know any of us. I wish to show some thanks to this writer just for bailing me out of this setting. Right after checking through the internet and coming across ideas that were not helpful, I believed my entire life was over. Existing devoid of the approaches to the difficulties you have fixed by means of this write-up is a serious case, as well as the kind which might have in a wrong way affected my career if I had not encountered the blog. Your good competence and kindness in dealing with the whole lot was invaluable. I’m not sure what I would’ve done if I hadn’t discovered such a stuff like this. I can also at this time relish my future. Thank you so much for your impressive and sensible help. I will not hesitate to refer your web sites to any individual who would need support about this situation. I really wanted to type a comment to be able to thank you for those unique tips and hints you are giving on this site. My long internet look up has now been recognized with excellent points to exchange with my visitors. I ‘d point out that many of us site visitors are truly lucky to be in a notable network with many special individuals with interesting tactics. I feel pretty happy to have seen your entire site and look forward to many more thrilling times reading here. Thanks a lot once again for everything. I just wanted to write down a comment to express gratitude to you for those superb tactics you are giving on this site. My long internet search has at the end been rewarded with useful facts and strategies to go over with my two friends. I would point out that most of us site visitors are really fortunate to exist in a fabulous place with so many marvellous people with useful pointers. I feel rather fortunate to have encountered the website page and look forward to so many more pleasurable times reading here. Thank you once again for a lot of things. I enjoy you because of all of your effort on this web site. Kim loves doing investigation and it’s simple to grasp why. I hear all regarding the compelling ways you create rewarding guides by means of this web site and increase participation from other people about this concern and our girl is in fact learning a great deal. Take pleasure in the remaining portion of the new year. Your performing a first class job. I really wanted to type a brief word to say thanks to you for all of the awesome instructions you are placing at this site. My time consuming internet investigation has at the end been recognized with reputable information to share with my partners. I would declare that most of us visitors are rather lucky to live in a wonderful site with very many wonderful people with valuable opinions. I feel truly fortunate to have come across your entire webpage and look forward to many more excellent moments reading here. Thanks again for everything. I wanted to construct a message to say thanks to you for all the precious concepts you are sharing here. My considerable internet search has finally been compensated with reputable details to go over with my companions. I would believe that many of us readers actually are undeniably endowed to be in a perfect website with so many perfect people with interesting basics. I feel very much blessed to have used the web pages and look forward to some more amazing minutes reading here. Thanks once more for all the details. I am glad for commenting to make you be aware of of the amazing encounter my cousin’s girl obtained reading through your webblog. She mastered a lot of things, which include how it is like to possess a wonderful teaching character to make other individuals quite simply comprehend various specialized matters. You really exceeded our desires. Thank you for displaying the good, trusted, educational and easy thoughts on your topic to Kate. These all YouTube gaming video tutorials are really in fastidious quality, I watched out all these along with my mates. Hmmm, yup no doubt Google is best in support of blogging but nowadays word press is also pleasant as a blogging for the reason that its Web optimization is good defined already. My grand father every time used to watch YouTube humorous video lessons, hehehehehe, for the reason that he wants to be delighted always. I got so bored in the present day afternoon, however as soon as I watched this YouTube funny clip at this web site I become fresh and cheerful as well. Marvelous, what a website it is! This webpage provides valuable data to us, keep it up. Can any one let know me that is there any on the internet classes for Search engine optimisation, because I want to learn more on the topic of Search engine marketing. I don’t waste my free time in watching video lessons except I be fond of to read posts on net and take updated from most recent technologies. What a fastidious YouTube video it is! Awesome, I loved it, and I am sharing this YouTube video with all my friends. Okay you are right, YouTube is finest video sharing web site, as YouTube is a lightly no much streaming time rather than other blogs. wonderful post, very informative. I’m wondering why the opposite experts of this sector do not understand this. You should proceed your writing. I am confident, you’ve a huge readers’ base already! All right, you are correct buddy, daily updating blog is actually needed in favor of Search engine optimization. Nice argument keeps it up. Fabulous, what a blog it is! This webpage provides useful information to us, keep it up. If you would like to take much from this paragraph then you have to apply such strategies to your won webpage. All right, you are right buddy, regularly updating weblog is actually necessary for Search engine marketing. Pleasant argument keeps it up. When someone writes an piece of writing he/she retains the idea of a user in his/her mind that how a user can be aware of it. Thus that’s why this article is amazing. Thanks! When I saw this site having awesome quality YouTube videos, I decided to watch out these all video lessons. That’s really a fastidious YouTube movie stated inside this piece of writing regarding how to write a paragraph, therefore i got clear idea from here. Hi mates, its wonderful paragraph on the topic of tutoringand entirely defined, keep it up all the time. Its extremely brilliant YouTube video in terms of quality, in fact nice, its quality is genuinely appreciable. What’s up, okay brother there are certainly several blogging web sites, however I advise you to use Google’s without charge blogging services. Yes I am also in look for of Flash tutorials, since I would like to learn more concerning flash, so if you have please post it at this place. I think the admin of this site is in fact working hard for his web site, since here every data is quality based information. For hottest information you have to pay a visit world wide web and on world-wide-web I found this website as a best web site for most up-to-date updates. Hi to every one, it’s genuinely a nice for me to pay a visit this website, it consists of important Information. I am really happy to glance at this blog posts which consists of plenty of useful data, thanks for providing such statistics. Graphics are in fact nice source of instruction instead of passage, its my familiarity, what would you say? My boss is also keen of YouTube humorous videos, he also watch these even in place of work hehehe.. If you are paying attention to learn Search engine optimization techniques then you have to read this post, I am sure you will get much more from this piece of writing about Web optimization. Hurrah! At last I got a web site from where I be able to truly obtain valuable facts regarding my study and knowledge. This post is actually a fastidious one it helps new internet viewers, who are wishing for blogging. Considering that many American medical cheap cialis canada health insurance policies do not cover the expense of medicines, and numerous Americans lack insurance altogether, the high rate of prescription medication could offer a significant obstacle to beneficial treatment. Some people with multiple or consistent medical troubles have come to rely on less expensive Canadian medications to please their health care needs. At this moment I am going away to do my breakfast, afterward having my breakfast coming again to read other news. What’s up to every one, the contents present at this website are actually remarkable for people knowledge, well, keep up the nice work fellows. Its not my first time to pay a visit this web page, i am browsing this site dailly and obtain nice information from here everyday. I am actually thankful to the owner of this web site who has shared this enormous article at at this time. Okay you are true, YouTube is best video sharing site, as YouTube is a lightly no much streaming time rather than other blogs. I pay a visit each day a few web pages and blogs to read content, but this blog provides feature based posts. I’m gone to tell my little brother, that he should also go to see this website on regular basis to take updated from newest news. Hi everybody, I know YouTube video consists of fewer bytes of memory due to that its quality is bad, except this YouTube video has great picture features. I know this web page offers quality based content and extra stuff, is there any other site which gives such things in quality? I read this article fully about the resemblance of most recent and preceding technologies, it’s awesome article. What’s up, its pleasant piece of writing about media print, we all know media is a impressive source of data. YouTube video lessons are well-known in whole globe, for the reason that it is the leading video sharing site, and I become too happy by watching YouTube videos. Wow, what a quality it is! For the reason that mostly YouTube video clips have no good quality, but this is actually a good quality video. Asking questions are truly pleasant thing if you are not understanding something entirely, except this piece of writing offers nice understanding even. Hi there Dear, are you genuinely visiting this site regularly, if so after that you will definitely obtain nice knowledge. Downloading data from this web site is as trouble-free |as clicking the mouse rather than other blogs which move me here and there on the web sites. Hmmm, yup no hesitation Google is finest in support of blogging but currently word press is also pleasant as a blogging as its Web optimization is good defined already. Every weekend i used to visit this web page, as i want enjoyment, as this this web page conations genuinely nice funny information too. If you are ready to watch humorous videos on the net then I suggest you to pay a quick visit this web page, it contains genuinely thus humorous not only videos but also other data. I got this website from my friend who told me on the topic of this web site and at the moment this time I am browsing this site and reading very informative articles at this time. That’s really a nice movie pointed out in this paragraph concerning how to write a paragraph, therefore i got clear idea from here. What a pleasant YouTube video it is! Awesome, I loved it, and I am sharing this YouTube film with all my colleagues. It’s amazing to visit this site and reading the views of all friends regarding this piece of writing, while I am also zealous of getting know-how. Hi there, its fastidious paragraph regarding media print, we all be aware of media is a fantastic source of information. These are in fact enormous ideas in about blogging. You have touched some nice points here. Any way keep up wrinting. I also like Flash, however I am not a good designer to design a Flash, however I have computer software by witch a Flash is automatically created and no additional to work. I’m gone to say to my little brother, that he should also pay a quick visit this blog on regular basis to get updated from hottest gossip. Hi to every single one, it’s truly a fastidious for me to pay a quick visit this site, it consists of priceless Information. Ahaa, its good conversation on the topic of this post here at this weblog, I have read all that, so at this time me also commenting here. I visited multiple web pages but the audio quality for audio songs present at this web site is truly wonderful. On each weekend, we all mates together used to watch movie, because enjoyment is also essential in life. Hi, this weekend is good in support of me, since this point in time i am reading this great informative post here at my house. Nowadays YouTube movies quality is more better and superior, thus that’s the motive that I am watching this video at at this point. I got so bored at the moment afternoon, however as soon as I watched this YouTube funny clip at this webpage I become fresh and happy as well. Hi Dear, are you actually visiting this web site on a regular basis, if so then you will definitely take good know-how. Quality posts is the key to interest the people to visit the site, that’s what this web site is providing. I think the admin of this site is truly working hard in favor of his site, for the reason that here every stuff is quality based information. Sharing some thing is better than keeping up-to our self, therefore the YouTube video that is posted at this time I am going to share by means of my family and friends. What i don’t realize is in reality how you are now not really much more well-preferred than you may be right now. You’re very intelligent. You already know therefore significantly when it comes to this subject, produced me in my view consider it from so many numerous angles. Its like men and women aren’t fascinated until it¡¦s something to accomplish with Woman gaga! Your own stuffs outstanding. Always take care of it up! For newest news you have to pay a quick visit web and on world-wide-web I found this web site as a finest website for most recent updates. Just desire to say your article is as amazing. The clarity in your post is simply nice and i can assume you are an expert on this subject. Fine with your permission let me to grab your RSS feed to keep updated with forthcoming post. Thanks a million and please continue the rewarding work. whoah this blog is magnificent i like reading your articles. Stay up the good paintings! You know, lots of persons are looking round for this info, you can help them greatly. Just want to say your article is as surprising. The clearness in your post is simply spectacular and i can assume you’re an expert on this subject. Fine with your permission allow me to grab your RSS feed to keep updated with forthcoming post. Thanks a million and please carry on the gratifying work. I¡¦ve learn a few good stuff here. Certainly value bookmarking for revisiting. I wonder how so much attempt you place to create such a great informative website. hey there and thank you for your info – I have definitely picked up anything new from right here. I did however expertise a few technical points using this website, as I experienced to reload the site lots of times previous to I could get it to load correctly. I had been wondering if your web host is OK? Not that I am complaining, but slow loading instances times will often affect your placement in google and can damage your high quality score if ads and marketing with Adwords. Anyway I’m adding this RSS to my e-mail and can look out for a lot more of your respective exciting content. Make sure you update this again soon..
Great tremendous issues here. I¡¦m very glad to see your article. Thanks a lot and i’m looking ahead to touch you. Will you please drop me a e-mail? Generally I don’t learn post on blogs, but I would like to say that this write-up very forced me to take a look at and do so! Your writing taste has been surprised me. Thank you, quite great post. I’ve been surfing on-line greater than 3 hours these days, but I by no means found any attention-grabbing article like yours. It is beautiful worth enough for me. Personally, if all web owners and bloggers made excellent content material as you did, the internet shall be much more helpful than ever before. I just want to say I am very new to blogging and definitely loved your blog site. Probably I’m planning to bookmark your website . You surely have wonderful articles. Thanks a bunch for revealing your blog. Hello very nice blog!! Guy .. Excellent .. Amazing .. I will bookmark your website and take the feeds additionally¡KI am satisfied to seek out a lot of useful information right here in the put up, we need work out extra techniques on this regard, thank you for sharing. . . . . . Very well written article. It will be helpful to anyone who usess it, including me. Keep doing what you are doing – looking forward to more posts. Great post. I was checking continuously this blog and I’m impressed! Extremely helpful info specially the last part I care for such info a lot. I was looking for this particular information for a long time. Thank you and best of luck. I wish to express some appreciation to you just for bailing me out of this type of incident. As a result of checking through the world wide web and obtaining ways which were not productive, I was thinking my life was over. Living without the answers to the issues you’ve fixed by way of your entire review is a critical case, as well as the kind which may have negatively damaged my career if I had not noticed your blog post. Your own mastery and kindness in playing with all things was excellent. I’m not sure what I would’ve done if I had not come across such a subject like this. I’m able to at this time relish my future. Thanks so much for this reliable and result oriented guide. I won’t be reluctant to endorse the website to anyone who should receive tips about this problem. I loved as much as you’ll receive carried out right here. The sketch is attractive, your authored material stylish. nonetheless, you command get got an impatience over that you wish be delivering the following. unwell unquestionably come further formerly again since exactly the same nearly very often inside case you shield this increase. Hiya, I am really glad I have found this info. Nowadays bloggers publish only about gossips and internet and this is really irritating. A good blog with exciting content, that is what I need. Thanks for keeping this website, I’ll be visiting it. Do you do newsletters? Cant find it. Thank you for sharing excellent informations. Your site is very cool. I am impressed by the details that you¡¦ve on this blog. It reveals how nicely you perceive this subject. Bookmarked this website page, will come back for extra articles. You, my friend, ROCK! I found simply the info I already searched all over the place and just couldn’t come across. What a perfect web site. Generally I don’t read article on blogs, but I wish to say that this write-up very compelled me to take a look at and do so! Your writing taste has been surprised me. Thank you, very great article. I have been browsing online greater than three hours today, but I by no means discovered any interesting article like yours. It¡¦s lovely worth sufficient for me. Personally, if all website owners and bloggers made just right content as you probably did, the net can be a lot more useful than ever before. It¡¦s really a great and helpful piece of info. I am satisfied that you shared this helpful information with us. Please stay us up to date like this. Thanks for sharing. Thank you a bunch for sharing this with all people you actually recognize what you are speaking approximately! Bookmarked. Please also discuss with my site =). We can have a hyperlink alternate arrangement among us! Hi there everybody, here every one is sharing such experience, so it’s fastidious to read this weblog, and I used to pay a visit this web site all the time. Hi mates, its great paragraph about cultureand fully defined, keep it up all the time. Your method of explaining the whole thing in this piece of writing is truly pleasant, all can effortlessly be aware of it, Thanks a lot. It’s not my first time to visit this web site, i am browsing this site dailly and obtain nice facts from here every day. Pictures are in fact nice source of teaching instead of wording, its my know-how, what would you say? This article is related to web programming is really good in support of me because I am website programmer. Thanks for sharing keep it up. Hi everyone, I know YouTube video consists of fewer bytes of memory due to that its quality is poor, however this YouTube video has wonderful picture quality. These are in fact cool YouTube video tutorials, its my luck to pay a quick visit this web site and finding such cool YouTube video tutorials. Hello, it’s understandable post along with this YouTube video; I can’t believe that one can not understand this straightforward paragraph having with video demonstration. you’re actually a excellent webmaster. The website loading velocity is amazing. It seems that you’re doing any unique trick. Moreover, The contents are masterpiece. you’ve done a wonderful process in this matter! It is really a nice and useful piece of info. I am happy that you just shared this useful info with us. Please keep us informed like this. Thank you for sharing. Thanks. A good amount of material. You actually make it appear really easy together with your presentation but I in finding this matter to be really one thing that I think I’d never understand. It seems too complex and very large for me. I’m looking forward to your next submit, I will attempt to get the hang of it! It¡¦s in reality a great and useful piece of info. I am glad that you simply shared this helpful info with us. Please keep us up to date like this. Thanks for sharing. There is obviously a bunch to know about this. I think you made certain good points in features also. Marvelous, what a weblog it is! This webpage presents helpful information to us, keep it up. Thanks for sharing superb informations. Your site is so cool. I’m impressed by the details that you have on this site. It reveals how nicely you understand this subject. Bookmarked this web page, will come back for more articles. You, my friend, ROCK! I found just the info I already searched everywhere and just could not come across. What a great site. Somebody essentially help to make significantly articles I would state. That is the very first time I frequented your website page and so far? I amazed with the analysis you made to make this actual submit amazing. Excellent job! I’ve been browsing on-line more than 3 hours nowadays, but I never discovered any interesting article like yours. It is beautiful price sufficient for me. In my view, if all webmasters and bloggers made just right content material as you probably did, the net will likely be a lot more helpful than ever before. Hiya, I am really glad I have found this info. Today bloggers publish only about gossip and web stuff and this is really annoying. A good blog with interesting content, this is what I need. Thank you for making this web-site, and I’ll be visiting again. Do you do newsletters by email? Hiya, I am really glad I have found this info. Today bloggers publish just about gossip and net stuff and this is actually frustrating. A good site with exciting content, that’s what I need. Thank you for making this website, and I will be visiting again. Do you do newsletters by email? Hello there. I discovered your blog by means of Google while searching for a related subject, your web site got here up. It seems great. I’ve bookmarked it in my google bookmarks to visit then. Hello there. I discovered your website via Google at the same time as looking for a comparable subject, your site came up. It appears to be good. I’ve bookmarked it in my google bookmarks to come back then. Hey there. I discovered your web site by means of Google while searching for a comparable matter, your website came up. It seems to be good. I have bookmarked it in my google bookmarks to visit then. Hello there. I found your site by way of Google even as searching for a related subject, your site came up. It appears great. I have bookmarked it in my google bookmarks to come back then. Hello there. I discovered your web site by means of Google whilst searching for a related subject, your website came up. It looks good. I’ve bookmarked it in my google bookmarks to come back then. Hi there. I found your blog by the use of Google whilst searching for a comparable matter, your web site came up. It appears to be good. I’ve bookmarked it in my google bookmarks to come back then. Hello there. I discovered your blog by way of Google while looking for a related topic, your site came up. It looks good. I have bookmarked it in my google bookmarks to visit then. Hiya, I am really glad I have found this info. Today bloggers publish just about gossip and internet stuff and this is actually irritating. A good website with exciting content, this is what I need. Thank you for making this web-site, and I will be visiting again. Do you do newsletters by email? Hi there. I discovered your web site by means of Google even as searching for a similar topic, your website got here up. It appears good. I have bookmarked it in my google bookmarks to visit then. It¡¦s in point of fact a nice and helpful piece of info. I¡¦m glad that you just shared this useful info with us. Please stay us informed like this. Thank you for sharing. His start date is 28th Sept.
Hello there. I discovered your website by the use of Google while looking for a comparable matter, your site got here up. It seems to be good. I’ve bookmarked it in my google bookmarks to come back then. Hiya, I’m really glad I have found this info. Nowadays bloggers publish only about gossip and internet stuff and this is actually frustrating. A good web site with interesting content, this is what I need. Thanks for making this web-site, and I’ll be visiting again. Do you do newsletters by email? Hiya, I am really glad I’ve found this info. Nowadays bloggers publish only about gossip and net stuff and this is actually annoying. A good blog with exciting content, that is what I need. Thank you for making this web site, and I’ll be visiting again. Do you do newsletters by email? Hi there. I discovered your web site by the use of Google while looking for a related topic, your site got here up. It seems good. I’ve bookmarked it in my google bookmarks to visit then. Hiya, I’m really glad I’ve found this information. Today bloggers publish only about gossip and net stuff and this is really frustrating. A good web site with exciting content, that is what I need. Thanks for making this website, and I will be visiting again. Do you do newsletters by email? Hello there. I discovered your site by the use of Google while looking for a similar matter, your web site came up. It looks great. I have bookmarked it in my google bookmarks to come back then. Hello there. I discovered your site by the use of Google even as searching for a comparable topic, your website came up. It looks great. I’ve bookmarked it in my google bookmarks to visit then. Hey there. I found your site by means of Google even as looking for a related subject, your site got here up. It appears to be good. I’ve bookmarked it in my google bookmarks to come back then. Hiya, I am really glad I’ve found this info. Today bloggers publish only about gossip and internet stuff and this is really frustrating. A good web site with interesting content, this is what I need. Thanks for making this web-site, and I will be visiting again. Do you do newsletters by email? Hi there. I discovered your site by means of Google whilst looking for a similar topic, your web site came up. It seems great. I’ve bookmarked it in my google bookmarks to come back then. Hiya, I am really glad I have found this information. Nowadays bloggers publish only about gossip and net stuff and this is really frustrating. A good site with exciting content, that’s what I need. Thanks for making this web site, and I’ll be visiting again. Do you do newsletters by email? Normally I don’t read post on blogs, but I wish to say that this write-up very forced me to check out and do so! Your writing style has been surprised me. Thank you, quite great post. obviously like your website but you have to test the spelling on several of your posts. A number of them are rife with spelling issues and I to find it very bothersome to inform the truth then again I will surely come back again. Hey there. I discovered your site by means of Google at the same time as searching for a similar matter, your site came up. It seems good. I’ve bookmarked it in my google bookmarks to come back then. Hey there. I discovered your website by way of Google even as searching for a comparable matter, your website got here up. It appears great. I have bookmarked it in my google bookmarks to come back then. Hiya, I’m really glad I’ve found this info. Nowadays bloggers publish only about gossip and internet stuff and this is really irritating. A good web site with exciting content, this is what I need. Thank you for making this website, and I will be visiting again. Do you do newsletters by email? Hello there. I found your website via Google even as searching for a similar subject, your web site came up. It seems great. I’ve bookmarked it in my google bookmarks to visit then. Hello there. I discovered your web site via Google at the same time as looking for a similar matter, your website came up. It seems to be great. I have bookmarked it in my google bookmarks to come back then. Hello there. I found your blog by way of Google even as looking for a comparable matter, your web site got here up. It appears to be great. I have bookmarked it in my google bookmarks to come back then. Hiya, I am really glad I’ve found this information. Nowadays bloggers publish only about gossip and internet stuff and this is really irritating. A good website with exciting content, that is what I need. Thank you for making this site, and I will be visiting again. Do you do newsletters by email? Hi there. I discovered your blog by the use of Google even as searching for a similar topic, your website got here up. It seems good. I’ve bookmarked it in my google bookmarks to come back then. Hello there. I discovered your web site by means of Google at the same time as looking for a similar topic, your site came up. It seems good. I have bookmarked it in my google bookmarks to come back then. Hiya, I am really glad I have found this information. Today bloggers publish only about gossip and internet stuff and this is really frustrating. A good website with interesting content, this is what I need. Thanks for making this web site, and I will be visiting again. Do you do newsletters by email? Hi there. I discovered your website via Google whilst searching for a comparable subject, your site got here up. It seems great. I have bookmarked it in my google bookmarks to come back then. Thanks for any other excellent article. Where else could anyone get that kind of info in such a perfect means of writing? I have a presentation subsequent week, and I am on the search for such info. Hey there. I discovered your blog by means of Google at the same time as searching for a comparable subject, your site got here up. It seems to be good. I have bookmarked it in my google bookmarks to come back then. Hello there. I discovered your site by way of Google at the same time as searching for a comparable subject, your website got here up. It looks good. I’ve bookmarked it in my google bookmarks to come back then. Hey there. I discovered your site via Google at the same time as searching for a comparable topic, your web site got here up. It seems great. I’ve bookmarked it in my google bookmarks to come back then. Hi there. I discovered your site by the use of Google whilst searching for a related topic, your site came up. It seems great. I have bookmarked it in my google bookmarks to come back then. Hiya, I am really glad I’ve found this info. Today bloggers publish only about gossip and net stuff and this is really annoying. A good site with exciting content, this is what I need. Thanks for making this site, and I will be visiting again. Do you do newsletters by email? Hello there. I discovered your web site by means of Google whilst searching for a similar topic, your website got here up. It appears to be good. I’ve bookmarked it in my google bookmarks to visit then. Hello there. I discovered your site by the use of Google whilst looking for a comparable subject, your site got here up. It seems great. I have bookmarked it in my google bookmarks to come back then. Hello there. I found your blog by means of Google whilst looking for a comparable subject, your website came up. It appears good. I have bookmarked it in my google bookmarks to visit then. Hi there. I found your blog by means of Google at the same time as searching for a similar subject, your website came up. It seems good. I have bookmarked it in my google bookmarks to come back then. Hello there. I discovered your web site by means of Google whilst searching for a related subject, your site got here up. It seems to be good. I have bookmarked it in my google bookmarks to come back then. Hiya, I’m really glad I’ve found this info. Nowadays bloggers publish only about gossip and net stuff and this is really irritating. A good blog with exciting content, this is what I need. Thanks for making this web site, and I’ll be visiting again. Do you do newsletters by email? Hello there. I found your web site via Google whilst looking for a comparable matter, your site got here up. It looks great. I’ve bookmarked it in my google bookmarks to visit then. Hi there. I found your web site by the use of Google at the same time as looking for a similar topic, your site got here up. It seems good. I have bookmarked it in my google bookmarks to visit then. Magnificent site. A lot of helpful information here. I¡¦m sending it to some pals ans also sharing in delicious. And naturally, thank you to your effort! Hiya, I am really glad I have found this information. Today bloggers publish just about gossip and net stuff and this is actually annoying. A good blog with interesting content, that’s what I need. Thanks for making this web site, and I’ll be visiting again. Do you do newsletters by email? Hiya, I am really glad I’ve found this info. Nowadays bloggers publish just about gossip and net stuff and this is really frustrating. A good website with interesting content, this is what I need. Thanks for making this web site, and I’ll be visiting again. Do you do newsletters by email? Hiya, I am really glad I have found this info. Today bloggers publish only about gossip and web stuff and this is actually annoying. A good website with interesting content, that’s what I need. Thank you for making this site, and I’ll be visiting again. Do you do newsletters by email? Hiya, I’m really glad I have found this info. Today bloggers publish just about gossip and net stuff and this is actually annoying. A good blog with interesting content, that is what I need. Thanks for making this website, and I’ll be visiting again. Do you do newsletters by email? I have been browsing online more than 3 hours these days, but I never found any fascinating article like yours. It is beautiful value sufficient for me. In my view, if all site owners and bloggers made good content material as you did, the internet will be much more useful than ever before. Hiya, I’m really glad I’ve found this information. Today bloggers publish only about gossip and internet stuff and this is actually frustrating. A good website with interesting content, that is what I need. Thanks for making this site, and I will be visiting again. Do you do newsletters by email? Hiya, I’m really glad I have found this information. Today bloggers publish just about gossip and internet stuff and this is really annoying. A good site with interesting content, that is what I need. Thank you for making this web-site, and I’ll be visiting again. Do you do newsletters by email? Hello there. I discovered your web site by way of Google whilst looking for a related matter, your web site got here up. It seems to be good. I have bookmarked it in my google bookmarks to come back then. Hi there. I discovered your site via Google while searching for a related topic, your website got here up. It appears to be good. I have bookmarked it in my google bookmarks to visit then. Hello there. I found your website by means of Google at the same time as looking for a related matter, your web site got here up. It seems good. I have bookmarked it in my google bookmarks to come back then. Hi there. I found your site by means of Google while looking for a related topic, your site got here up. It looks great. I have bookmarked it in my google bookmarks to come back then. Hiya, I’m really glad I have found this info. Nowadays bloggers publish just about gossip and web stuff and this is actually annoying. A good blog with exciting content, this is what I need. Thank you for making this web-site, and I’ll be visiting again. Do you do newsletters by email? Hiya, I’m really glad I’ve found this information. Today bloggers publish only about gossip and net stuff and this is actually annoying. A good website with interesting content, that is what I need. Thank you for making this site, and I will be visiting again. Do you do newsletters by email? Hey there. I found your web site via Google while looking for a related matter, your web site came up. It appears to be great. I have bookmarked it in my google bookmarks to visit then. Hiya, I’m really glad I have found this info. Today bloggers publish only about gossip and internet stuff and this is actually frustrating. A good site with exciting content, this is what I need. Thanks for making this web-site, and I’ll be visiting again. Do you do newsletters by email? Hiya, I am really glad I’ve found this information. Nowadays bloggers publish just about gossip and net stuff and this is actually annoying. A good web site with interesting content, that’s what I need. Thank you for making this web-site, and I will be visiting again. Do you do newsletters by email? Hi there. I discovered your web site via Google even as searching for a comparable topic, your website got here up. It seems great. I’ve bookmarked it in my google bookmarks to visit then. Hiya, I’m really glad I have found this info. Nowadays bloggers publish only about gossip and internet stuff and this is really frustrating. A good blog with interesting content, that is what I need. Thanks for making this web-site, and I’ll be visiting again. Do you do newsletters by email? Hello there. I found your web site by the use of Google whilst searching for a comparable topic, your website came up. It seems great. I’ve bookmarked it in my google bookmarks to visit then. Hiya, I’m really glad I have found this information. Nowadays bloggers publish just about gossip and internet stuff and this is actually frustrating. A good site with exciting content, this is what I need. Thanks for making this web site, and I’ll be visiting again. Do you do newsletters by email? Hi there. I found your blog by the use of Google even as searching for a similar subject, your web site came up. It seems great. I have bookmarked it in my google bookmarks to come back then. Needed to create you one little bit of remark to finally thank you over again over the extraordinary strategies you’ve documented on this page. This is certainly extremely open-handed of you to provide publicly all many individuals would have made available for an ebook to earn some dough for themselves, principally now that you could have tried it if you decided. These smart ideas likewise served to be a fantastic way to be aware that other people have the same passion just as my own to grasp much more on the subject of this matter. I’m certain there are a lot more pleasurable sessions in the future for individuals who scan your blog. Hiya, I’m really glad I have found this info. Nowadays bloggers publish just about gossip and internet stuff and this is actually frustrating. A good blog with exciting content, that’s what I need. Thank you for making this web-site, and I’ll be visiting again. Do you do newsletters by email? Hello there. I discovered your website by way of Google even as searching for a comparable topic, your website got here up. It seems good. I’ve bookmarked it in my google bookmarks to visit then. Hiya, I’m really glad I have found this info. Today bloggers publish only about gossip and net stuff and this is really annoying. A good blog with exciting content, this is what I need. Thanks for making this website, and I’ll be visiting again. Do you do newsletters by email? Hi there. I discovered your blog by way of Google even as looking for a related subject, your web site got here up. It seems great. I have bookmarked it in my google bookmarks to come back then. Hiya, I’m really glad I have found this information. Today bloggers publish just about gossip and internet stuff and this is actually frustrating. A good website with exciting content, that’s what I need. Thank you for making this web-site, and I will be visiting again. Do you do newsletters by email? Hi there. I found your blog by the use of Google whilst searching for a similar subject, your web site got here up. It appears to be good. I have bookmarked it in my google bookmarks to visit then. Hiya, I’m really glad I have found this info. Today bloggers publish only about gossip and web stuff and this is really annoying. A good blog with exciting content, that’s what I need. Thanks for making this web site, and I will be visiting again. Do you do newsletters by email? Hi there. I discovered your site by the use of Google while searching for a related matter, your site came up. It seems to be good. I’ve bookmarked it in my google bookmarks to visit then. Hi there. I found your web site by means of Google while searching for a comparable matter, your site came up. It looks great. I have bookmarked it in my google bookmarks to come back then. Hiya, I am really glad I have found this information. Nowadays bloggers publish only about gossip and web stuff and this is actually annoying. A good web site with exciting content, this is what I need. Thanks for making this web-site, and I will be visiting again. Do you do newsletters by email? Hiya, I am really glad I have found this info. Today bloggers publish just about gossip and net stuff and this is actually irritating. A good site with interesting content, this is what I need. Thanks for making this web-site, and I’ll be visiting again. Do you do newsletters by email? Hiya, I am really glad I’ve found this information. Nowadays bloggers publish just about gossip and web stuff and this is really annoying. A good web site with interesting content, that’s what I need. Thank you for making this website, and I’ll be visiting again. Do you do newsletters by email? Hi there. I found your website by means of Google even as searching for a comparable subject, your website got here up. It looks great. I’ve bookmarked it in my google bookmarks to visit then. Hey there. I discovered your blog by the use of Google while looking for a similar subject, your website got here up. It seems to be good. I’ve bookmarked it in my google bookmarks to visit then. Hi there. I discovered your site by the use of Google while searching for a related subject, your website got here up. It appears good. I have bookmarked it in my google bookmarks to visit then. Hiya, I’m really glad I have found this information. Today bloggers publish only about gossip and web stuff and this is actually frustrating. A good blog with exciting content, this is what I need. Thanks for making this web site, and I will be visiting again. Do you do newsletters by email? Hiya, I’m really glad I’ve found this info. Today bloggers publish just about gossip and internet stuff and this is actually irritating. A good web site with interesting content, this is what I need. Thank you for making this site, and I’ll be visiting again. Do you do newsletters by email? Hey there. I found your web site by the use of Google even as looking for a similar subject, your site got here up. It seems great. I’ve bookmarked it in my google bookmarks to come back then. Hiya, I am really glad I’ve found this info. Today bloggers publish only about gossip and internet stuff and this is actually frustrating. A good blog with exciting content, this is what I need. Thank you for making this website, and I will be visiting again. Do you do newsletters by email? Hiya, I am really glad I’ve found this information. Today bloggers publish only about gossip and internet stuff and this is actually frustrating. A good blog with interesting content, that’s what I need. Thank you for making this website, and I will be visiting again. Do you do newsletters by email? Hiya, I am really glad I’ve found this information. Nowadays bloggers publish just about gossip and web stuff and this is actually irritating. A good website with exciting content, this is what I need. Thanks for making this web-site, and I’ll be visiting again. Do you do newsletters by email? Hiya, I’m really glad I’ve found this information. Nowadays bloggers publish just about gossip and net stuff and this is really frustrating. A good site with exciting content, this is what I need. Thank you for making this website, and I’ll be visiting again. Do you do newsletters by email? Hiya, I am really glad I have found this info. Nowadays bloggers publish only about gossip and internet stuff and this is really frustrating. A good site with interesting content, that’s what I need. Thanks for making this site, and I will be visiting again. Do you do newsletters by email? I have learn some excellent stuff here. Definitely worth bookmarking for revisiting. I surprise how a lot attempt you place to make this type of fantastic informative site. Expert woodworkers write the articles in the magazine. Hiya, I’m really glad I have found this info. Today bloggers publish just about gossip and web stuff and this is actually frustrating. A good website with interesting content, this is what I need. Thanks for making this web site, and I will be visiting again. Do you do newsletters by email? Hiya, I’m really glad I’ve found this information. Nowadays bloggers publish just about gossip and net stuff and this is really frustrating. A good website with interesting content, this is what I need. Thanks for making this website, and I will be visiting again. Do you do newsletters by email? Hey there. I found your website by the use of Google at the same time as searching for a comparable matter, your web site came up. It appears to be good. I’ve bookmarked it in my google bookmarks to visit then. Hiya, I’m really glad I have found this information. Today bloggers publish only about gossip and net stuff and this is really annoying. A good web site with exciting content, that is what I need. Thanks for making this site, and I’ll be visiting again. Do you do newsletters by email? Hiya, I am really glad I’ve found this info. Nowadays bloggers publish only about gossip and internet stuff and this is actually frustrating. A good site with exciting content, that is what I need. Thank you for making this site, and I will be visiting again. Do you do newsletters by email? Hiya, I am really glad I’ve found this information. Nowadays bloggers publish only about gossip and web stuff and this is really annoying. A good blog with interesting content, this is what I need. Thank you for making this web site, and I’ll be visiting again. Do you do newsletters by email? Hiya, I’m really glad I’ve found this info. Today bloggers publish only about gossip and web stuff and this is really frustrating. A good web site with interesting content, this is what I need. Thanks for making this website, and I’ll be visiting again. Do you do newsletters by email? Hiya, I am really glad I have found this information. Nowadays bloggers publish just about gossip and net stuff and this is actually annoying. A good blog with interesting content, that’s what I need. Thank you for making this site, and I’ll be visiting again. Do you do newsletters by email? Hey there. I discovered your web site by way of Google even as looking for a similar matter, your web site came up. It looks great. I’ve bookmarked it in my google bookmarks to come back then. Hello there. I found your site by way of Google whilst looking for a related subject, your website got here up. It appears great. I’ve bookmarked it in my google bookmarks to come back then. Perfect! Interesting informations over this website. It is pretty worth enough for me. In my view, if all website owners and bloggers made good content as you did, the net will be much more useful than ever before. I couldn’t resist commenting. I’ve spent 3 hours looking for such informations. I’ll also share it with some friends interested in it. I’ve just bookmarked this website. Now with the job done, I will find some live gay cams. Thanks!! Greetings from San Francisco! Hey there. I found your web site by means of Google whilst looking for a comparable topic, your web site got here up. It looks good. I have bookmarked it in my google bookmarks to come back then. Hey there. I found your site by way of Google whilst searching for a comparable matter, your web site got here up. It appears great. I have bookmarked it in my google bookmarks to come back then. Hello there. I found your website via Google while looking for a comparable matter, your website came up. It seems great. I have bookmarked it in my google bookmarks to visit then. Hiya, I am really glad I’ve found this info. Nowadays bloggers publish just about gossip and web stuff and this is really frustrating. A good web site with exciting content, this is what I need. Thank you for making this site, and I will be visiting again. Do you do newsletters by email? Hiya, I am really glad I have found this info. Today bloggers publish just about gossip and web stuff and this is really irritating. A good web site with interesting content, that is what I need. Thanks for making this website, and I’ll be visiting again. Do you do newsletters by email? Hiya, I’m really glad I have found this information. Today bloggers publish only about gossip and internet stuff and this is really annoying. A good site with interesting content, that’s what I need. Thank you for making this site, and I will be visiting again. Do you do newsletters by email? Hiya, I am really glad I’ve found this info. Nowadays bloggers publish just about gossip and net stuff and this is actually irritating. A good site with exciting content, this is what I need. Thanks for making this web site, and I’ll be visiting again. Do you do newsletters by email? Hello there. I found your site by way of Google at the same time as looking for a related subject, your web site came up. It seems to be great. I have bookmarked it in my google bookmarks to come back then. Hiya, I’m really glad I’ve found this information. Today bloggers publish only about gossip and internet stuff and this is actually frustrating. A good site with interesting content, this is what I need. Thanks for making this web-site, and I’ll be visiting again. Do you do newsletters by email? Hiya, I am really glad I have found this information. Nowadays bloggers publish only about gossip and web stuff and this is really frustrating. A good blog with interesting content, that’s what I need. Thank you for making this website, and I will be visiting again. Do you do newsletters by email? Hiya, I’m really glad I’ve found this information. Today bloggers publish just about gossip and internet stuff and this is actually irritating. A good blog with interesting content, this is what I need. Thank you for making this website, and I will be visiting again. Do you do newsletters by email? Hey there. I discovered your web site by the use of Google while looking for a comparable topic, your website came up. It seems to be good. I’ve bookmarked it in my google bookmarks to visit then. Hi there. I found your web site by means of Google even as searching for a related matter, your web site got here up. It seems good. I’ve bookmarked it in my google bookmarks to come back then. Hiya, I am really glad I have found this info. Nowadays bloggers publish only about gossip and net stuff and this is actually frustrating. A good web site with exciting content, this is what I need. Thank you for making this web site, and I will be visiting again. Do you do newsletters by email? Hi there. I found your website by the use of Google even as looking for a similar topic, your site got here up. It seems good. I have bookmarked it in my google bookmarks to come back then. I do accept as true with all of the concepts you have presented in your post. They’re very convincing and can definitely work. Nonetheless, the posts are very quick for starters. Could you please prolong them a little from next time? Thanks for the post. I do agree with all the concepts you have presented in your post. They’re really convincing and can definitely work. Still, the posts are very quick for novices. May you please lengthen them a bit from subsequent time? Thank you for the post. Hi there. I found your blog by means of Google while looking for a comparable topic, your web site came up. It seems great. I have bookmarked it in my google bookmarks to come back then. Hi there. I discovered your blog by the use of Google whilst looking for a similar topic, your site came up. It appears good. I’ve bookmarked it in my google bookmarks to visit then. Hi there. I found your website by way of Google even as looking for a similar matter, your website came up. It seems good. I have bookmarked it in my google bookmarks to come back then. Hiya, I am really glad I have found this information. Today bloggers publish only about gossip and internet stuff and this is actually frustrating. A good site with interesting content, that’s what I need. Thanks for making this website, and I will be visiting again. Do you do newsletters by email? Hiya, I am really glad I have found this info. Today bloggers publish just about gossip and internet stuff and this is really frustrating. A good blog with exciting content, this is what I need. Thanks for making this web site, and I’ll be visiting again. Do you do newsletters by email? A lot of thanks for all your valuable work on this website. My daughter delights in working on investigations and it’s really obvious why. A lot of people hear all concerning the dynamic ways you convey invaluable tips on this web site and as well foster contribution from some other people on this concern so our favorite simple princess is really discovering a lot of things. Enjoy the rest of the new year. You’re doing a really great job. Hi there. I found your blog by the use of Google even as looking for a similar matter, your site got here up. It seems to be great. I’ve bookmarked it in my google bookmarks to come back then. Hello there. I discovered your web site by means of Google while looking for a related subject, your website got here up. It appears to be great. I’ve bookmarked it in my google bookmarks to visit then. Hiya, I am really glad I’ve found this information. Nowadays bloggers publish only about gossip and web stuff and this is actually irritating. A good web site with exciting content, that is what I need. Thanks for making this web-site, and I’ll be visiting again. Do you do newsletters by email? Hiya, I am really glad I’ve found this information. Nowadays bloggers publish just about gossip and internet stuff and this is really annoying. A good site with interesting content, that’s what I need. Thank you for making this web site, and I’ll be visiting again. Do you do newsletters by email? Hello there. I discovered your website by way of Google whilst searching for a related matter, your site got here up. It looks great. I’ve bookmarked it in my google bookmarks to visit then. Hiya, I’m really glad I’ve found this info. Today bloggers publish only about gossip and web stuff and this is actually irritating. A good blog with interesting content, this is what I need. Thanks for making this site, and I will be visiting again. Do you do newsletters by email? Hiya, I am really glad I’ve found this info. Today bloggers publish just about gossip and net stuff and this is really irritating. A good web site with interesting content, this is what I need. Thanks for making this website, and I will be visiting again. Do you do newsletters by email? Hiya, I’m really glad I’ve found this information. Today bloggers publish just about gossip and internet stuff and this is actually irritating. A good blog with interesting content, this is what I need. Thanks for making this website, and I’ll be visiting again. Do you do newsletters by email? Hey there. I found your blog by means of Google whilst looking for a related subject, your site came up. It looks good. I’ve bookmarked it in my google bookmarks to visit then. Hey there. I found your site by way of Google even as looking for a comparable topic, your site came up. It looks great. I have bookmarked it in my google bookmarks to come back then. Hiya, I am really glad I have found this info. Nowadays bloggers publish only about gossip and web stuff and this is actually irritating. A good web site with interesting content, that is what I need. Thanks for making this web-site, and I’ll be visiting again. Do you do newsletters by email? Hiya, I’m really glad I’ve found this information. Nowadays bloggers publish just about gossip and net stuff and this is actually annoying. A good blog with exciting content, this is what I need. Thank you for making this website, and I will be visiting again. Do you do newsletters by email? Fantastic goods from you, man. I have understand your stuff previous to and you’re just too great. I actually like what you’ve acquired here, certainly like what you’re saying and the way in which you say it. You make it enjoyable and you still take care of to keep it sensible. I can’t wait to read far more from you. This is really a terrific web site. Hi there. I found your site by the use of Google whilst searching for a related topic, your site came up. It looks good. I have bookmarked it in my google bookmarks to come back then. It is perfect time to make some plans for the future and it’s time to be happy. I’ve read this post and if I could I wish to suggest you few interesting things or advice. Maybe you could write next articles referring to this article. I wish to read even more things about it! of course like your web site however you have to test the spelling on several of your posts. Many of them are rife with spelling problems and I to find it very bothersome to tell the reality nevertheless I will definitely come back again. I not to mention my pals were digesting the best tips and tricks located on your web site and then then I had a terrible feeling I had not thanked the website owner for those techniques. My ladies had been totally happy to study them and have in fact been taking pleasure in those things. We appreciate you truly being quite accommodating and then for picking some incredibly good useful guides millions of individuals are really desperate to understand about. Our own honest apologies for not expressing gratitude to earlier. I do agree with all the concepts you have introduced for your post. They’re really convincing and will definitely work. Nonetheless, the posts are too quick for beginners. Could you please prolong them a bit from next time? Thank you for the post. Hiya, I am really glad I’ve found this information. Today bloggers publish only about gossip and internet stuff and this is actually irritating. A good website with interesting content, that is what I need. Thanks for making this web-site, and I will be visiting again. Do you do newsletters by email? Hey there. I found your web site via Google while searching for a comparable matter, your site came up. It appears good. I have bookmarked it in my google bookmarks to visit then. Hello there. I found your site by means of Google at the same time as looking for a related topic, your site got here up. It seems great. I have bookmarked it in my google bookmarks to visit then. Hello there. I discovered your site by means of Google even as looking for a comparable subject, your website came up. It looks great. I have bookmarked it in my google bookmarks to come back then.